Automatic garage doors are convenient devices. They allow the homeowner to open the door via remote from inside the car instead of having to get out of the car to open and close the door manually. However, like any electronic device, it can cause problems when there is a failure in the electrical or mechanical systems. Troubleshooting an automatic garage door can be done quickly and solving garage door problems is normally a simple process. Solving automatic garage door problems can usually be done quickly. Check the batteries and the settings in your remote control to make sure it has power and is properly programmed to open the door. Adjust the pressure adjustments in the main control box for the garage door if the door is not opening or closing properly. A flat head screwdriver should be all you need to open the box and adjust the pressure switches. You may need a ladder to reach the box near the ceiling. Lubricate the track if the door seems to be scraping against it and is encountering resistance. This is common during seasonal changes when the door or the track can slightly warp. WD-40 works well for this. 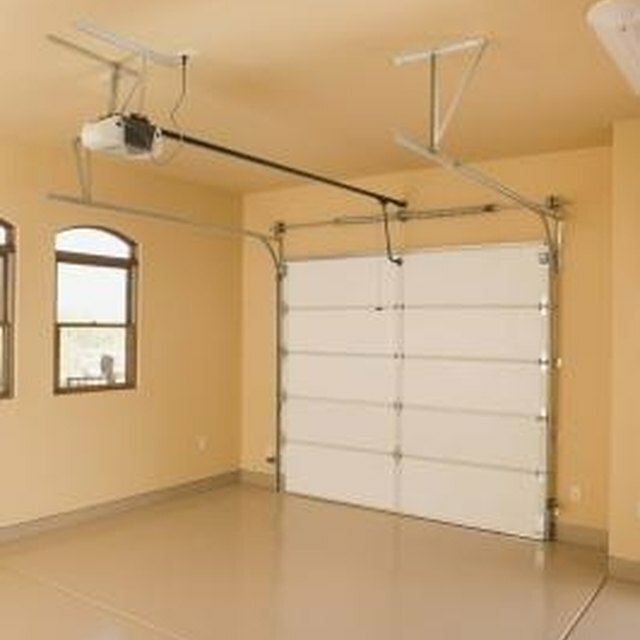 Connect tension rods to the inside of the garage door if the door is showing signs of sagging or warping. Many doors already have them attached and you just need to tighten them at a junction. They go diagonal from corner to corner on the door and can be purchased and screwed in if you don't already have them. Pull the cord that hangs from the guide track near the ceiling of the garage. It normally has a red handle. This will let you open and close the door manually and get the car in and out while you get the door fixed.